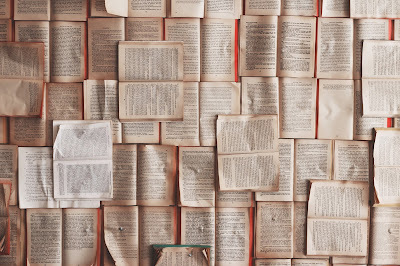 Whether a student of the Bible or not, one cannot deny the titanic impact the collection of books has had on the English language (and the entire Western world in general). As one of the earliest forms of literature, these Hebrew and Greek writings set the precedent for all literature that followed. We looked previously at six common phrases originating in the Old Testament, but here are six more which come from the book of Matthew alone. Not surprisingly, Jesus said all but one of these. Although often misattributed to Abraham Lincoln, Jesus in fact first uttered these words that were later quoted by the Civil War president in his famous “House Divided” speech. (Lincoln actually gave the oration prior to becoming president.) Jesus used the metaphor in response to the accusation that He was the prince of demons. The Pharisees gave him the title on account of his ability to exorcise demons. I often see the phrase in the context of two family members rooting for rival football teams. So in only a matter of two millennia we’ve progressed from demons to civil war to football. Pretty much the same thing, right? The Romans adopted the Persian practice in their occupation of Palestine. The majority of 1st Century Jews detested their lack of sovereignty in whatever form it presented. Walking a mile (the max allowed by law) was just one of these reminders, as was taxation. So to go an extra mile would have been a radical notion. Today we primarily use the phrase in the sense of overachieving. The phrase is a derivation of the type of death experienced by John the Baptist. John was a man who pulled no punches when it came to preaching righteousness. His primary message: “Repent and be baptized,” earned him the name, “The Baptist.” Scripture tells us he spoke directly to King Herod, proclaiming his marriage to his brother’s wife, Herodias, unlawful (not to mention scummy). As a result, Herod arrested John but did not execute him for fear of the people who loved him and his messianic message. When the daughter of Herodias pleased Herod with her dancing, Herod promised to grant her whatever request she wanted. Persuaded by her mother, the girl requested John be decapitated and the head brought to her on a platter. Jesus used this devastating metaphor to describe how the leaders of the Jews guided the masses. They focused so heavily on outward signs and appearances that they missed the intent of the Law and therefore the heart of God. Specifically Jesus told his disciples that the Pharisees purported to be experts on interpreting the Law as it pertained to ritual purity, but in fact were just as in the dark as those they instructed. The phrase is also recorded by Luke in Jesus's Sermon on the Mount. The saying refers to someone leading an ignorant group of people in a subject or undertaking in which he or she is equally ignorant. The Pharisees thought they had the Law figured out, but they were focused more on tradition than on the spirit of the Law. If they, the experts of religion, couldn’t understand the scriptures, how would people who relied on them fare? The eleventh hour in Hebrew terms was around 5 PM. In the parable of the Workers in the Vineyard, Jesus used the term eleventh hour to refer to the penultimate working hour of the day. Again, though the phrase in Matthew is used in the literal sense (eleventh hour of a twelve-hour working day), we use it today figuratively to mean something done at the last possible moment. The language of the Bible has saturated the culture so fully that many reference it every day without even realizing they do so. 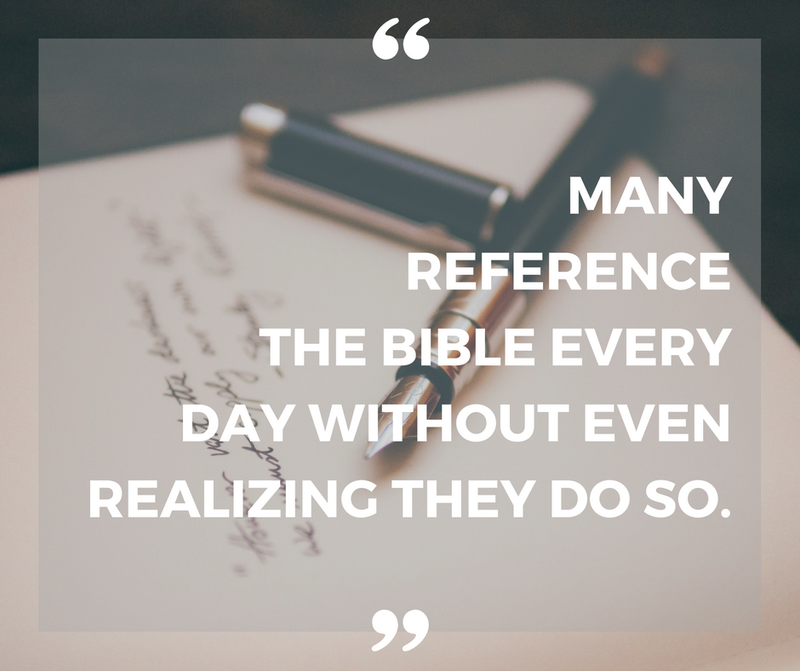 What's your favorite biblical expression?